Trigram therapy is a subtle combination of all the nine basic concepts of Feng Shui and getting it right brings a great deal of harmonious flows of auspicious chi currents that result in good fortune. By placing specific trigram in particular direction of your room, house & office you can get the benefit of that aspiration and also a best cure for number missing in your date of birth. Practical applications of trigram therapy in Feng Shui : When you understand, the missing number in your date of birth, the attributes of the different corners of your home, office or factory, its symbolic element, the family member represented the colors that energize that corner, as well as the luck aspiration symbolized. You can practice trigram therapy in Feng Shui by installing the replica of respective trigram in the sector affected at your home, office and factory to enhance the luck of that particular aspiration. THE EIGHT TRIGRAMS AND THEIR MEANINGS KAN : The middle son: Placed in the North. Kan is the Danger trigram. The element is Water and the Season is Deep Winter. 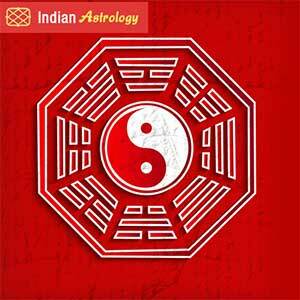 This trigram also signifies Hidden Wealth. Use replica of this trigram for missing number ONE in your date of birth and for career promotion in North sector of your room, home and office. KUN : The matriarch: Indicates the female maternal, the Mother. The element is Big Earth, the energy is yin. The direction is South-West. Use replica of this trigram for missing number TWO in your date of birth, and for the better relations and harmony among partners & family members in South-West sector of your room, office &factory. CHEN: the eldest son: Is in the East, represent Wood and the Season of Spring. Indicates Growth. Use replica of this trigram for the missing number THREE and for Good Health, Longevity and Confidence in Eastern wall of your bedroom, home, shop, office & factory. SUN : the eldest daughter: Is in the SOUTH-EAST represents the element Wood, the Mood is Gentle, and the Season is spring. 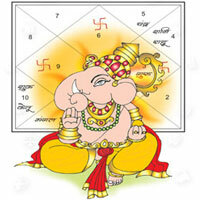 Use replica of this trigram for missing number FOUR in your date of birth and for wealth & prosperity. CHIEN : the patriarch: Also means Heaven, the creative, is yang, has Metal as the element, and represents the male, the Father. The direction is North-West. Use replica of this trigram for missing number SIX in your date of birth and to get foreign travel, new opportunities and helpful people in North-West sector of your room, home, shop, office & factory. TUI: youngest daughter: Tui is placed west, and is of the Metal element. Tui means joyousness and represents the youngest girl in a home. The season is autumn. Use replica of this trigram for missing number SEVEN in your date of birth and for mental rest, joy and happiness in West sector of your room, home, shop, office & factory. KEN: the youngest son: Placed in the North-East. Also stands for mountain and belongs to the Earth element. Use replica of this trigram for missing number EIGHT in your date of birth and education, knowledge & good memory in North- East sector of your room, home, shop, office & factory. LI: the middle daughter: Li is placed in South. Li stands for Fire, with upward moving Energy. The Season is summer. The trigram symbolizes fame and recognition and intense brightness. Use replica of this trigram for missing number NINE and for name fame and recognition in South sector of your room, home, shop, office & factory. (A) MISSING SECTORS & THEIR EFFECTS BY PA KUA METHOD The effect of missing sectors depends on which sector is missing. There are two excellent methods of diagnosing the effect on the family , business luck when there are missing sectors in a home or business premises . The first method relates to the kind of luck affected while the second method describes which member of the family’s luck gets affected. The Pa Kua Method : The Pa Kua method assigns one type of luck to each of the eight sectors of any home. To determine the kind of luck affected, it is first necessary to determine which compass direction is represented by the missing sector. Use a good compass to first determine the orientations of your home, and then superimpose a nine-sector grid onto your house plan. You will see immediately which sector is missing. Then check business premises against the meanings shown in the nine-sector grid illustrated below. (D) MISSING SECTORS & THEIR EFFECTS ON FAMILY MEMBERS Perhaps more important than the type of luck affected is the effect which missing sectors have on the luck of each individual member of the family, based on the Trigram method. The most dangerous missing corner is the corner represented by the direction North-West & number 6 which is the house of the trigram chien which represents the most senior male member of the family, usually the father or the patriarch. If the North-West corner is missing (or if it houses, a store room filled with junk, or a cluttered garage or this corner is closed.) the luck of the father could be seriously affected. If he is also the sole breadwinner, then such a situation affects the whole family since his career and his business ventures will suffer from a lack of energy and motivation on his part. Here is the full table of meanings. NORTH CAREER, PLANNING KAN This is probably the most dangerous of all eight trigrams. It is made up of one unbroken, yang bar embraced by two broken, yin bars. This is a trigram that looks weak and yielding outside but, in fact, can be very strong inside. Kan symbolizes the cold of winter, the danger or opportunity of water, and the cunning of the middle son. It can represent either illusions like the moon’s reflection in water or great success through a person’s ability to hide his or her strength and appear weak the essence of cunning that is the sum and substance of this trigram. This trigram represents situations of entanglement and a perpetual position of danger. Kan perfectly encapsulates the scenarios in ancient China when court intrigues often resulted in great danger for the mandarins who vied for promotion. One false stem and death was the result; hence this trigram represents career luck. To enjoy a smooth and successful climb up the career ladder it is vital to activate this corner of your home and room, as well as your office. By guarding the Feng Shui of your North corner you will be protecting yourself from getting hurt by intrigues, deceit, and trickery. Good Feng Shui will ensure that sincerity of purpose is rewarded so that the yang bar sandwiched between the yin bar will stay strong and not be overcome. THE DIRECTION: NORTH The trigram that represents careers is Kan and, according to the Later Heaven Arrangement of trigrams, this is placed in the North. This is therefore the corner of any home or room that represents career prospects and career luck. If this corner has good Feng Shui, residents will have the good fortune to attain great heights in their careers. Understanding the nature of career luck requires an examination of the North sector of the room or home and, in particular, the meaning of the trigram Kan. THE ELEMENT: WATER Ruling element of the North is water, symbolized by anything liquid and also by water features, such as aquariums, pools, lakes, and fountains. Water produced by metal, so metal is said to be good for it. • Water itself produces wood, so wood is said to exhaust it. • Water is destroyed by earth, so earth is said to be harmful to it. • Water destroys fire, so it is said to overcome fire From these attributes, we know that to strengthen the element of the North, we can use all objects that symbolize both water and metal. Also, we should strenuously avoid anything belonging to the earth element. This means that the North may be activated by any object, color, or painting that suggests water, metal or by replica of Kan trigram itself. SOUTHWEST ROMANCE, HARMONY & INITIATIVE KUN The trigram is made up of three broken yin bars. Kun is the trigram that symbolizes mother earth. Inherent to this trigram is the concept of the ideal matriarch, all that is receptive and ultimate yin energy. Kun symbolizes the person who accepts all the responsibilities of the family, performing the crucial role of keeping the family together, giving birth, raising children, and dispensing love and kindness, in spite of hard work. Like the earth, the matriarch grows everything and receives everything back. The earth supports mountains, cradles the oceans, and is always enduring. This is a powerful trigram. Some of the best representations of it is a mountain, without water double happiness symbol & replica of Kun trigram and a painting / portrait of these hung in the Kun corner brings extraordinary romantic luck. THE DIRECTION: SOUTH-WEST The trigram that represents love and relationships is the yin trigram Kun and according to the Later Heaven Arrangement of trigrams, this is placed in the South-West. This is the sector of any home or room that represents romance, love and marriage. If this sector has good Feng Shui, the marriage and love aspirations of the members of the household will be positively energized. If this sector has bad Feng Shui, however, bad marriage luck will be fall the household, leading to divorce, loneliness, unhappiness, and an almost total absence of marriage opportunities for the sons and daughters of the family. Thus romance Feng Shui should always start with an examination of this sector of the room or home. THE ELEMENT: EARTH The element of the South-West corner is earth, symbolized by crystals, stones, boulders, and all things from the ground. Identifying the relevant element to activate is a vital part of the application. It suggests that placing, for instance, a boulder in the South-West corner of the garden will activate excellent romance and marriage opportunities for all the unattached residents of the house. • Earth is produced by fire, so fire is said to be good for it. • Earth itself produces metal, so metal is said to exhaust it. • Earth is destroyed by wood, so wood is said to be harmful to it. • Earth destroys water, so it is said to overcome water. 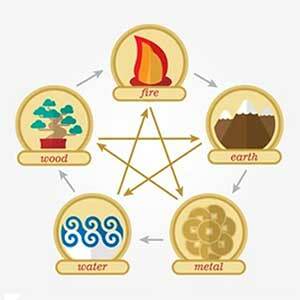 From these attributes we know that to strengthen the element of the South-West we can use objects that symbolize both the earth and the fire elements, but we should avoid the wood element. Keeping replica of Kun trigram in South-West of your home, bedroom and office will enhance harmony among family member, couples and partners. EAST LONGEVITY, CONFIDENCE & HEALTH CHEN This trigram represents the eldest son. It has two yin bars above a single unbroken yang bar. Chen also signifies spring, which is a season of growth. In the language of the ancient Chinese text, the I Ching, Chen stands for the “arousing”, characterized by great claps of thunder bursting in the spring sky, waking creatures form hibernation, and causing the life-giving rains to fall. Chen is a happy trigram that also suggests laughter and happiness. It has great strength and energy. It stands for growth and vigor which makes it representative of life itself. Activating the corner that houses this attracts healthy growth energies. The direction is east and the element is big wood, suggestive of trees rather than bushes, a deep green color rather than light green, and large wooden structures (furniture) rather than small wooden objects (ornaments) replica of Chen trigram and green pyramids. THE DIRECTION: EAST Chen is the growth trigram that represents good health. According to the Later Heaven Arrangement, it is place in the East. 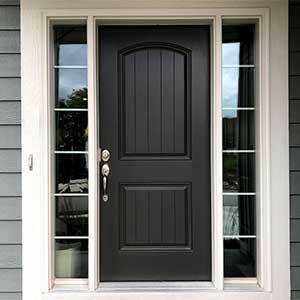 This is the sector of any home or room that represents good health for the family. If this corner has good Feng Shui, family members, especially the breadwinner, will enjoy excellent health and live to a ripe old age. If this corner has bad Feng Shui, illness will befall the family. THE ELEMENT: WOOD The element of the East corner is wood, symbolized mainly by plants. Identifying the relevant element to activate is a vital part of the application. It suggests that placing a healthy plant in the East will activate excellent health luck for residents of the home. • Wood is produced by water, so water is said to be good for it. • Wood itself produces fire, so fire will exhaust it. • Wood is destroyed by metal, so metal will be harmful to it. • Wood destroys earth, so earth is overcome by it. From these attributes we know that to strengthen the element of the East, we can use all objects that symbolize both wood and water, but should strenuously avoid anything belonging to the metal element. Delving deeper, we see that the East is represented by big wood. This suggests that the intangible forces of the wood in this corner are strong, powerful, and not easily overcome. Big wood is suggestive of very strong growth. Wood is the only one of the five elements that is alive and capable of reproducing itself. This implies that the yang energies of its sector, although not immediately evident, are nevertheless strong. This is eloquently suggested by the lines of the trigram where the unbroken yang line lays hidden under two yin lines. Using inanimate objects made of wood can thus be equally effective as using plants & pyramids beside Chen trigram for energizing this corner of the home / office. 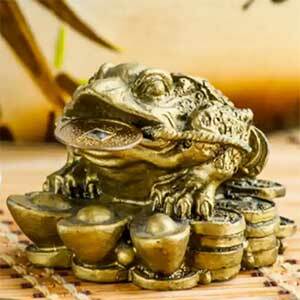 Keeping replica of Chen trigram in east of your home, bedroom and office will improve your confidence, health & vitality. 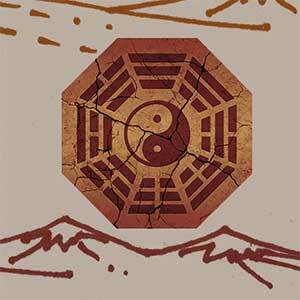 SOUTHEAST WEALTH & PROSPERITY SUN This trigram has two solid yang bars above a broken yin bar, which signifies the wind that brings prosperity. The image conjured by this trigram is of the wind scattering seeds to all corners of the earth. The seeds then fall to the ground, penetrate the soil, and begin to germinate. Very soon a plant grows. It blooms and flowers, producing more seeds, which are scattered again by the wind and the cycle of prosperity, is repeated over and over again. 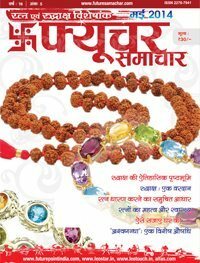 Thus wealth creation symbolized. 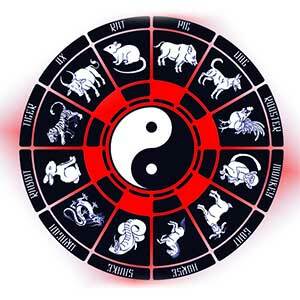 If you activate this trigram in your home, it is believed that all your financial projects will succeed. THE DIRECTION: SOUTH-EAST The trigram that represents the prosperity aspiration is Sun and, according to the Later Heaven Arrangement, it is placed in the South-East. This sector of the home or office represents wealth, and if this sector has good Feng Shui, then the wealth aspirations of the household have been effectively energized. If this sector has bad Feng Shui, inauspicious money luck will befall the household, leading to loss and failure in business. To activate wealth Feng Shui it is therefore vital to ensure that any negative energy is removed or deflected from the South-East corner of your home or office. THE ELEMENT: WOOD The element of the South-East location is wood, symbolized by plants and all things made of wood, and this is most significant when practicing Feng Shui, since identifying the relevant and applicable element to activate is vital to the process. It suggests that placing a plant green pyramid and replica of Sun trigram in the South-East, will be excellent wealth Feng Shui. Moreover, from the cycles shown here, you will see further attributes of the wood element. Wood is produced by water, so it will benefit from water. Wood itself produces fire, so fire will exhaust it. Wood is destroyed by metal, so metal will harm it. Wood destroys earth, so it will overwhelm earth. From studying these attributes we learn that to energize the element of the South-East we should use objects that symbolize wood elements, and avoid those belonging to the metal element. However, it is important to remember that in Feng Shui balance is everything. Too much of any one element will overwhelm the others. Elements used subtly will reinforce each other. 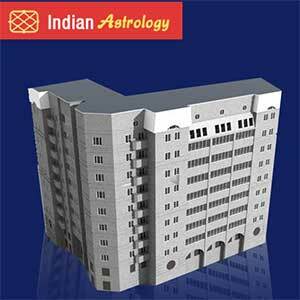 Keeping picture of Sun trigram in South-East zone of your home, bedroom and office will enhance wealth, luck. It also balances the energy if you are missing number four in your date of birth. NORTHWEST HELPFUL PEOPLE, FOREIGN TRAVEL & NEW OPPORTUNITIES CHIEN The trigram of power cannot be anything but Chien, the one that symbolizes heaven. It signifies the ultimate yang energy and stands for intrinsic and spiritual strength. It represents the leader, king, commander, and patriarch, the man of power who possesses a divine right to rule. Chien is a very powerful trigram. It epitomizes the spirit of the creative, and the energy of never ending movement and relentless activity. It is described in the I Ching as the root of a all other trigrams because all three bars are unbroken, solid, and yang. Chien personifies a person of great power, who is also wise and compassionate. In Feng Shui, activating this trigram has many benefits; chief among them is the luck of having someone wise to advise you and someone powerful to help you. 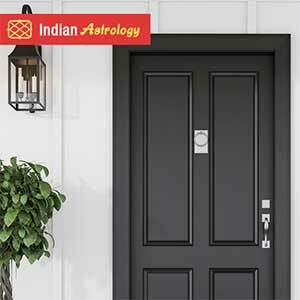 During your auspicious astrological period, it could even bring an influential mentor into your life that will support and promote you. The placement of Chien on the Pa Kua its direction and location indicated the important elements to energize. In doing so, it is important to know that Chien becomes even more auspicious when combined with the trigram Kun, the ultimate yin trigram. The pairing of the ultimate yang with the ultimate yin is irresistibly auspicious. The element of Kun is big earth, which produces big metal, the element of Chien. THE DIRECTION: NORTH-WEST Based on the Later Heaven Arrangement of trigrams around the Pa Kua, the compass direction that houses the trigram Chien is the North-West. Thus to activate the luck that brings influential friends, mentors, and advisers into your life, it is necessary to energize the North-West. The first thing to investigate is whether there is a North-West corner of your home. When homes are L or U shaped, certain corners are missing. If the missing corner happens to be the North-west sector of the house, then Feng Shui suggests that the all important Chien luck missing. Keeping replica of Chien trigram in North-West of your home, factory or office will give new opportunities, foreign travels & helpful people. It will also fill the energy of missing number six. THE ELEMENT: METAL The element of Chien and, therefore, of the north-west is Big Metal. Anything that typifies metal can be used to activate this corner. At the same time, because earth produces metal, anything that connotes earth, especially big earth (the trigram Kun), is also appropriate. Remember, that fire destroys metal, and is therefore constructed as being harmful to chien. So anything that signifies the fire should not be placed here. WEST CHILDREN, JOY, EDUCATION TUI This trigram, made up of one broken yin line above two unbroken yang lines, signifies joyousness, laughter, and a time for rejoicing. The Tui trigram implies success and continuity of the family name. Seasonally, it represents fall and its symbol is the lake. More than anything, Tui means gold, but not ordinary gold. The reference is metaphorical, for gold here means virtuous offspring who bring fame, honor, and happiness to the family. Good children are regarded as being as precious as gold. When the trigram Tui is activated, there is harmony in the family. Siblings enjoy good relationships and children respect the elders of the family. Husbands and wives get along and the atmosphere in the home is one of serenity. The positive side of this trigram also suggests that families will be enlarged through marriage or having children. THE DIRECTION: WEST ENERGIZING WEST SECTOR FOR CHILDREN’S LUCK Activate your children’s luck starts with understanding the Pa Kua. By itself, the Pa Kua of the Early Heaven Arrangement is believed to be a powerful protective tool. Merely hanging it outside the home above the main door is deemed very effective in countering any negative energies that may be threatening the home and its residents. 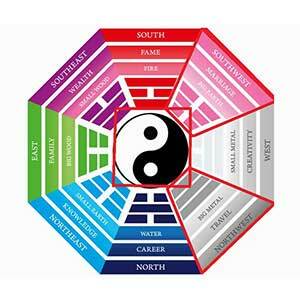 However, the Pa Kua, with its aggregated circles of meaning, is also a Feng Shui reference tool. There is meaning in each of the trigrams placed at every edge of it. Trigrams are three-bar symbols. The bars may be solid yang or broken yin bar and their relationship is what gives meaning to the trigrams, according to the I Ching, the Book of Changes. The trigram that represents the next generation is Tui and, according to the Later Heaven Arrangement, this is placed in the west. This is the corner of any home or room that represents the luck of the children, if this corner has good Feng Shui, the children will enjoy excellent fortune, and they will do well in school, achieve good grades, win honors, and excel in all their pursuits. 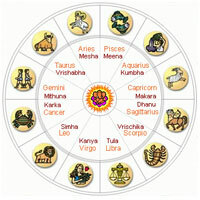 If they enjoy good birth charts, the good Feng Shui will also assist them in attaining great heights in any endeavor. However, if this corner has bad Feng Shui, bad luck will prevail and parents will find it difficult to help their children. The children themselves will suffer from every kind of misfortune, from not doing well as school to constantly falling stick. They will find it difficult and sometimes impossible to achieve their potential despite their best efforts. In order to maximize children’s luck, Feng Shui requires careful examination of this sector of the room or home and in particular the meaning of the trigram Tui. Keeping replica of Tui in west of your home, study room will support child health, education and creativity. It also fills the energy of missing number seven. THE ELEMENT: METAL The ruling element of the west is metal, symbolized by all things made of metal, particularly gold. This includes metal wind chime, home appliances, television, and clocks. 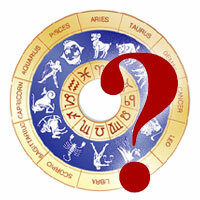 Identifying the relevant element to activate is a vital part of Feng Shui applications. For instance a wind chime in the west part of the living room will activate excellent opportunities for the children of the family. From these attributes, we know that to strengthen the element of the west, we can use any objects that symbolize either earth or metal elements, but we should avoid anything belonging to the fire element. 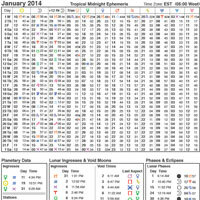 This means that the west may be activated by any object, color, or painting that suggests either earth or metal. Electrical appliances that are made of metal and are placed in the west corner of a room would be harmonious. The display of wind chimes and bells is also excellent, as are television sets and music system. It is also auspicious to display objects that belong to the earth element, such as crystal, clay pots, and rocks. NORTH-EAST MEMORY, EDUCATION, SUCCESS & KNOWLEDGE KEN The trigram that symbolizes knowledge and education is Ken, which essentially stands for late winter or early spring. It suggests a time of preparation upon which future success depends. Ken also suggests contemplation, meditation, and the development of the mind. When the energies within the home or room are harmonious within the sectors that represent this trigram, excellent education luck can be activated. THE DIRECTION: NORTH-EAST Based on the Later Heaven Arrangement of trigrams around the Pa Kua, the compass direction that represents the trigram Ken is the North-east. Thus to activate education and study luck, it is necessary to energize the North-east. The first thing to see is if there is a true North-East corner of the house. When houses are L-shaped or U-shaped, certain corners appear to be missing and if this happens to be the North-East sector of the house, then Feng Shui suggests that the education luck of the home is generally lacking. While this can be unfortunate, there is no real cause for alarm. Go to the bedroom of the person whose education luck needs activating. This will usually be the bedroom of a child or young person who is still a student. Other rooms used by the entire family can also be activated THE ELEMENT: EARTH The element of the North-East is earth. This is derived from the trigram Ken, which means mountain. Thus the element referred to be small earth, and to activate this sector, anything that symbolizes earth can be used. At the same time, we have seen from the cycles of the elements that fire produces earth. Earth produces metal and this means that metal exhausts earth. Metal would, therefore, not be a good energizer for this corner. It is inadvisable to place anything made of metal, including wind-chimes and bells, in the North-East corner. Finally, anything that belongs to the wood element should not be placed here, since wood destroys earth. This means that plants and flowers in the North-East will spoil your study luck. Keeping replica of Ken trigram in North-East of study room & office will enhance education luck & knowledge and fills the energy in the missing number. SOUTH FAME & REORGANIZATION LI This trigram is made up of one broken, yin bar embraced by two solid, and yang bar. It appears strong on the outside, yet is yielding and weak on the inside. Li is the trigram that symbolizes the brightness of fire and the dazzle of the sun. it stands for glory and the applause of the masses. It also suggests activity and heat. The symbolism of this trigram is that of a great man who perpetuates the light by rising to prominence. His name and fame illuminate the four corners of the universe, dazzling one and all with his exemplary behavior and his magnificent talents and achievements. At its ultimate, Li also represents lightning from which we can gauge the intrinsic brilliance of what it stands for. 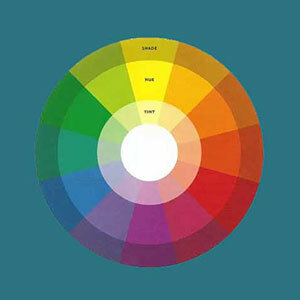 The color of Li is red, the bright and auspicious color that suggests celebrations and happy occasions. Li is the summer, and its energies are more yang then yin. THE DIRECTION: SOUTH The trigram that represents fame, recognition, and reputation is Li and, according to the Later Heaven Arrangement, this is placed in the South. Thus the southern corner of any home or room represents recognition, reputation, and fame. THE ELEMENT: FIRE The ruling element of the South is fire, symbolized by bright lights, the sun, the colour red, and anything else that suggests fire identifying the relevant element to activate is a vital part of feng-shui application. It suggests that placing, a Red Pyramid & replica of Li trigram in the South will activate excellent opportunities for becoming famous and widely respected. This particular type of luck is especially vital for politicians, models, singers, actors, and everyone engaged in professions that require them to be well known and easily recognized. Fire is produced by wood, so wood is said to be good for it. Fire itself produces earth, so earth is said to exhaust it. Fire is destroyed by water, so water is said to be harmful to it. Fire destroys metal, so it is said to overcome metal. From these attributes we know that to strengthen the element of the South we can use objects that symbolize both the fire and the wood elements, but we should strenuously avoid anything belonging to the water element. Keeping picture/replica of Li trigram in South of your home/bedroom or office will boost your name & fame and fills the energy in the missing number Nine. CHIEN & SHENG (the prosperity hexagram) CHIEN Two very important symbol extracted from the I Ching is the hexagram Sheng & chien, as Sheng represents, the dragon’s cosmic breath. Chien is the trigram which signifies divine help form heaven. It is extremely yang in characteristic, and is thus suitable for life and activity. And Chien doubled, which is portrayed by six solid unbroken lines also signifies the same thing. According to the I-Ching, the book of changes, this hexagram indicates the beginning of everything and implies harmony and peace. It also represents strength and power. Keeping replica of Chien Hexagram in North-West will bring luck to start new projects and implementation with the help of influential people. SHENG The hexagram SHENG meanwhile, is a combination of two different trigrams, the trigram SUN below, and the trigram KUN above. The meaning of SHENG is ascending, promotion or expansion. It thus has very auspicious significance. 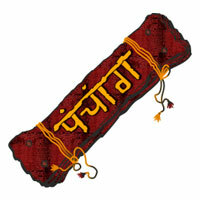 It is made up of the combination of earth (Kun) above and wood (Sun) below. Thus the plant is firmly rooted in the earth, and it is growing higher and higher. The season indicated is late spring, a time of very rapid growth. According to the I Ching’s the book of changes, this hexagram indicated that businesses will prosper like the growing trees that blossom and then bear fruit. This hexagram is also auspicious for marriages and for attraction mentor luck. 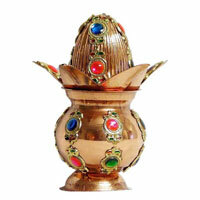 Keep the replica in South-West of your home, factory or office for prosperity, harmony & wealth.